With Halloween and the holidays coming up, we’re trying something different with our new pup to help relieve a dog’s stress and anxiety. The Calmz Anxiety Relief System! 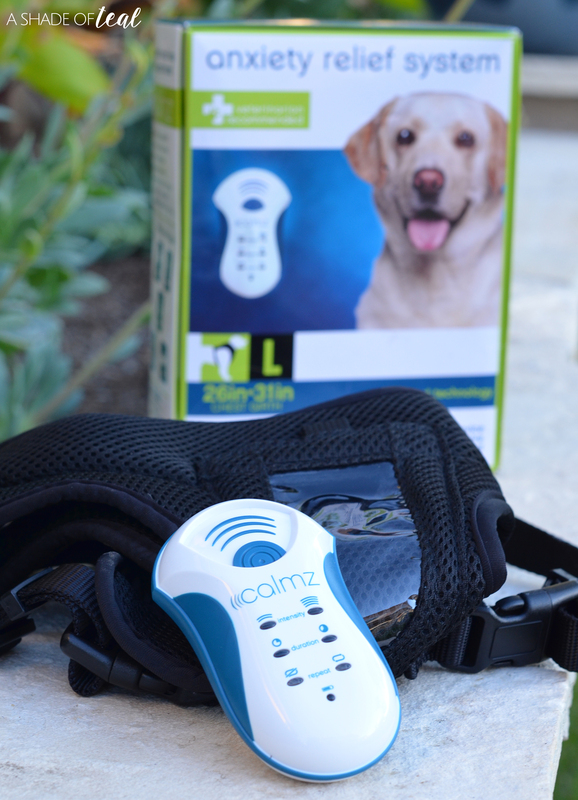 If your not familiar with the Calmz Anxiety Relief System, it’s a non-invasive, therapeutic anxiety relief system that uses a comfortable vest and “calmz” device to deliver a combination of classical music, tonal and vibration therapy over calming acupressure points on your dog’s spine to reduce anxiety and associated unwanted behavior in your dog. 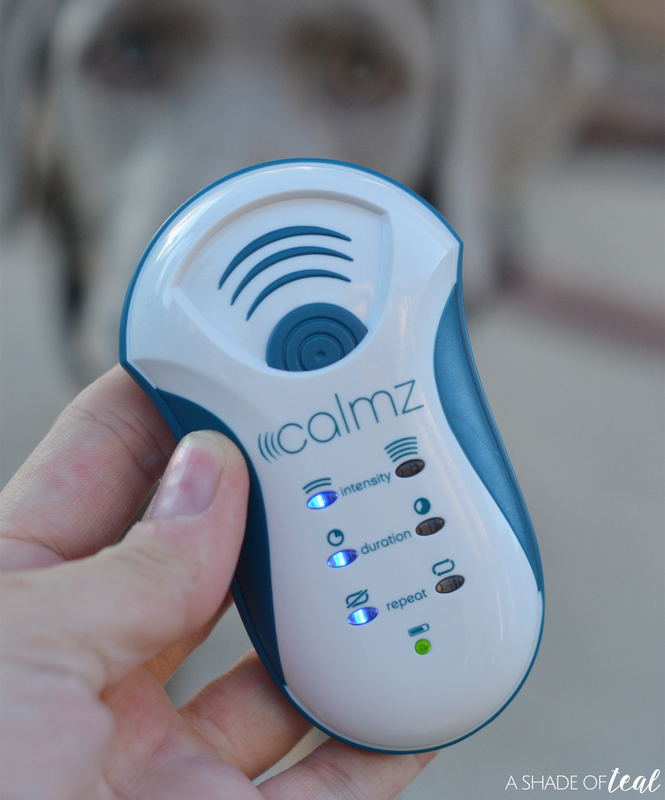 So, when you start having guests, or what your dog considers strangers, the Calmz system will help calm and relax your pup. It’s also great to use with loud noises associated with weather or even when it’s time for your holiday travel/vacation. 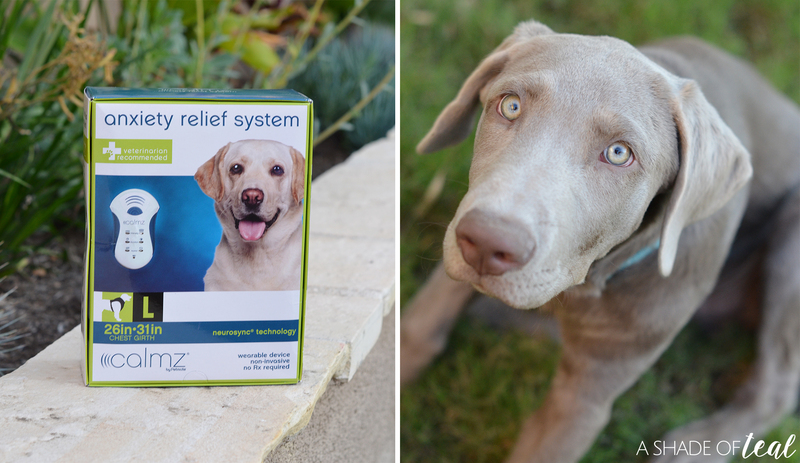 The goal of the Calmz Anxiety Relief System is to calm and give a stress-free environment for your pup! 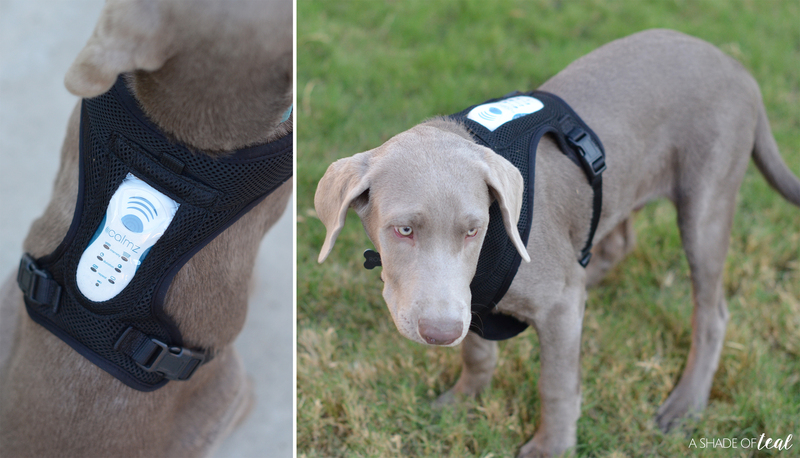 With our new puppy, Rowan, I wanted to make sure he was a calm and relaxed dog. Our last dog was incredibly anxious, especially this time of year. If he ever heard the doorbell ring he would go nuts, even more nuts when any “stranger” entered our home. So, with this pup I really wanted a relaxed and extra friendly pup to our guests. Using the Calmz Anxiety Relief System is super simple, but please read over the entire instructions before use. 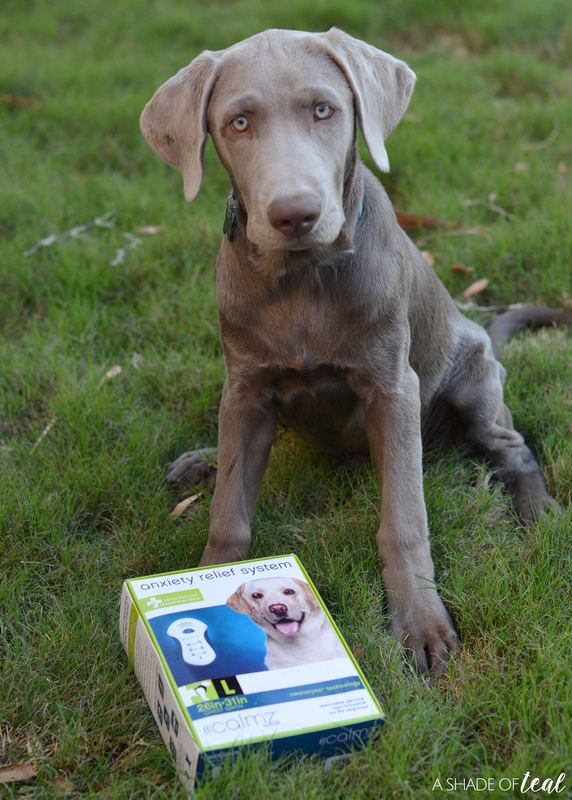 You’ll want to measure your dog before purchase to make sure you get the correct size, it comes in X-Small through X-Large. You’ll then need to add batteries and then gently introduce your pup to it. I was surprised how quickly he adapted to it, he showed no signs of anxiety and he honestly was able to focus more. So if you still need more info on the Calmz Anxiety Relief System go check it out for yourself HERE! If you are unsure whether this product is suitable for your dog, consult a veterinarian. You won’t be disappointed this holiday season, and you’ll have a much more relieved dog, creating less stress and anxiety for the whole family. Wow – I have never heard of this product before. Never knew there was anything on the market like this. This might actually make a great present for my brother’s family who have a dog that really has issues with visitors he doesn’t know coming to the house. 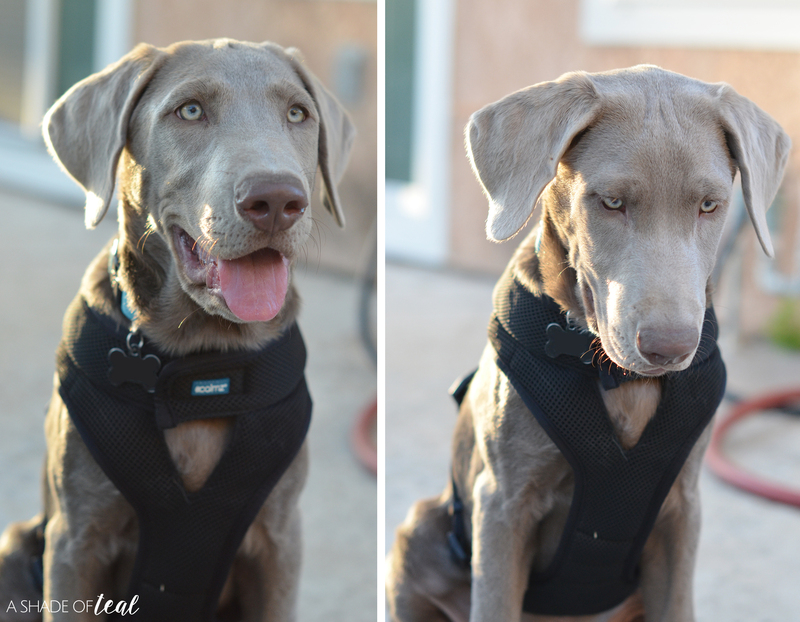 I know more than one dog and dog owner who could use this! I’m definitely going to recommend it to them. I was surprised to hear that my dog suffers from separation anxiety. When he does he gets aggressive and destructive. I didn’t like meds, so this may be a good option. Wow what an awesome product!! I never heard of this before but it absolutely sounds like a blessing for our fur babies!!! I’m going to share this with my friends who adore their pets too. Sally is a really nervous dog by nature and this sounds like something that could really help her, yet I have never heard of it before thank you so much for introducing me to it. I am not a dog-owner myself, but am super interested in dogs. I never heard of that actually, but it does sound like a great help for nervous dogs. Interesting read! Oh my goodness, that is just incredible, the thought of really taing care of how your dog feels is just so heart warming. 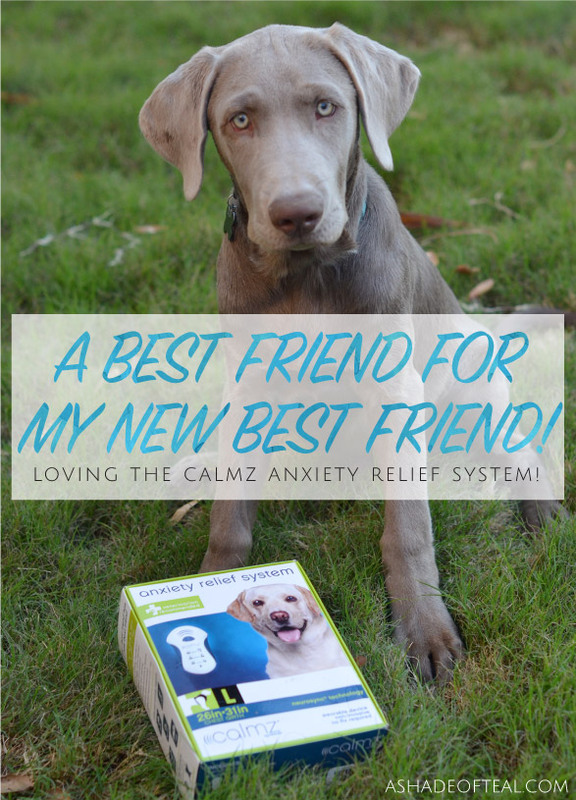 The Calmz Anxiety Relief System sounds like a great system for any dog owner whose dog has anxiety. I wonder if it would work for my puppy who jumps on everyone that want to bet her? My sister’s dog would benefit from this too. Thanks for sharing a great review. My friend has a dog and suffering from same situations, i think this will be helpful for him.